Our Illusion Wall Display product is an absolute visual delight. Offering a contemporary and dynamic look, your image is suspended within the crystal clear acrylic leaving the viewer questioning the technique behind it. The three carefully chosen textures that make up the product lead the eye to the bit that matters being your image. 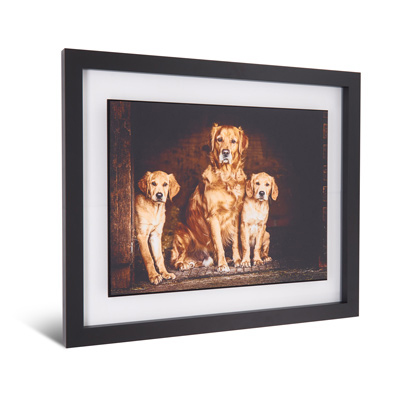 The satin coated contemporary frames finish off this stunning product to perfection. Your true photographic print has an anti scratch seal applied to its surface before being flush mounted to a 6mm coloured and bevelled edged block. This block is then centralised and adhered to the acrylic. A matching back board is also mounted to the rear to give the appearance of the block going through the acrylic. The product is then framed using our Confetti range of frames in either black, white or multi coloured satin coated finishes.